One of my favorite ways to refresh a room is to update the pillows. It's a pretty cost effective way to make a huge impact. You can change the whole color scheme of a room with a few new pillow covers and maybe a can of spray paint if all your major pieces in the room are neutral. Our living room is mostly neutral right now so I'm planning to add a few pops of color for spring. I'm particularly loving pops of yellow. I feel like it will really add some cheerfulness to my otherwise neutral living room. 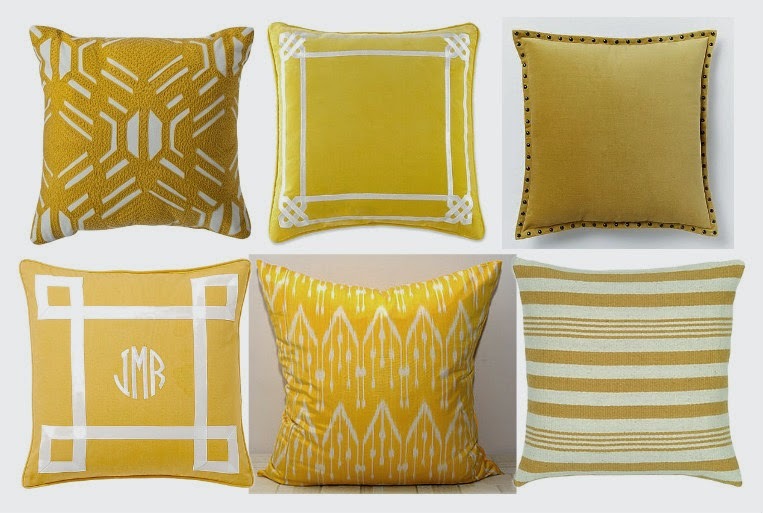 Here are some of my favorite pillows for spring in one of my favorite spring colors, yellow! Yellow is so happy! The two on the left are my favorites. Have a great weekend Bethany! i'm loving yellow too. all gorgeous finds!